My first real food stop on my vacation in San Francisco! Duc and I were hungry after our delayed flight, the BART travel, and the walk to where we were staying. We wanted to hit up Fisherman's Wharf so some kind of seafood-y lunch was in order. 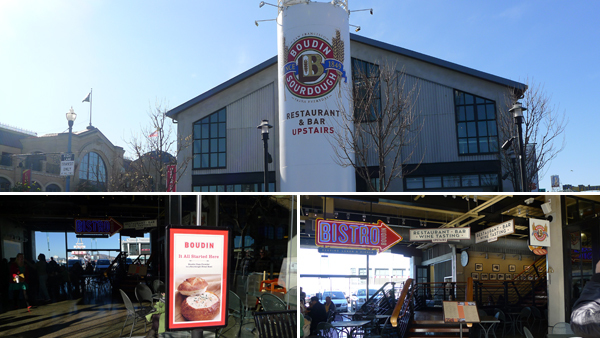 I spotted Boudin and knew it would be a great place to hit up. 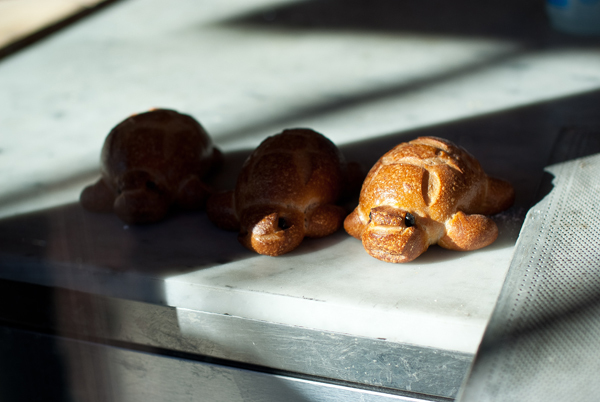 Aside from the huge sourdough animals they have in a floor-to-ceiling window near the bakery, they also had fresh breads inside as well as bread baskets that were circling around above us to reach the people putting foods together to-go at the cafe. We opted to eat there so we didn't have to wait at a table since we wanted a quick food grab. While waiting for food, we browsed (and couldn't stop ourselves from buying) through the neat kitchen items they had on various themed stands. 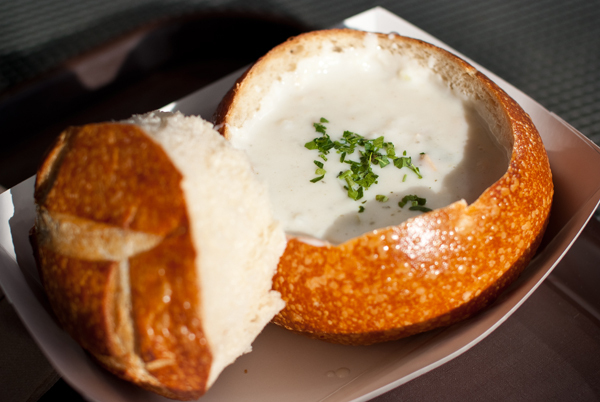 Uh, who can resist clam chowder in a sourdough bowl? That was what caught our eyes and led us into a sated bliss. We both thoroughly enjoyed it because the bread really made it superb. 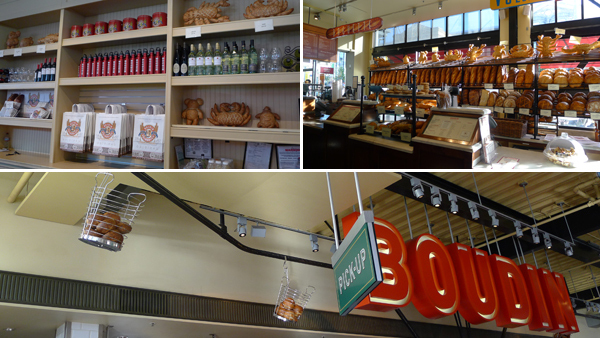 Such good sourdough - I'd have to say that it was probably the best sourdough and clam chowder I had (or at least one of the best clam chowders I'd had). 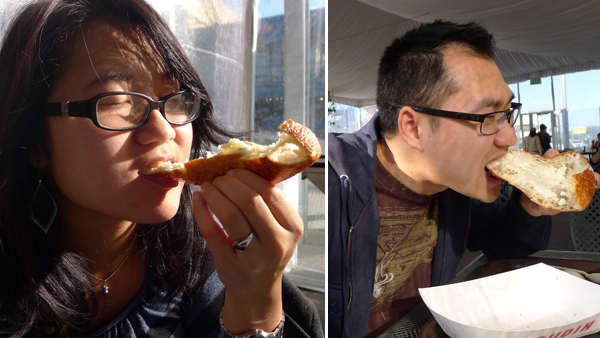 The bread was the right amount of fluffiness and moistness; the sour taste associated with sourdough was just perfect. As for the chowder, it had a tad less clams than I expected but the base was not overly thick and the flavoring was just delightful. What a great first meal here!